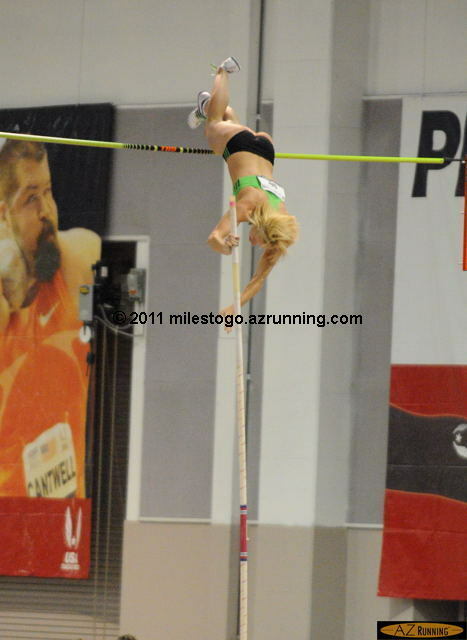 Both Jillian Camarena-Williams (shot put) and Jenn Suhr (pole vault) broke American records in their respective events on Day 2 of the 2011 USA Indoor Track and Field Championships in Albuquerque, NM. Suhr cleared 15 feet 11.25 inches to claim the AR, as the crowd roared with excitement. 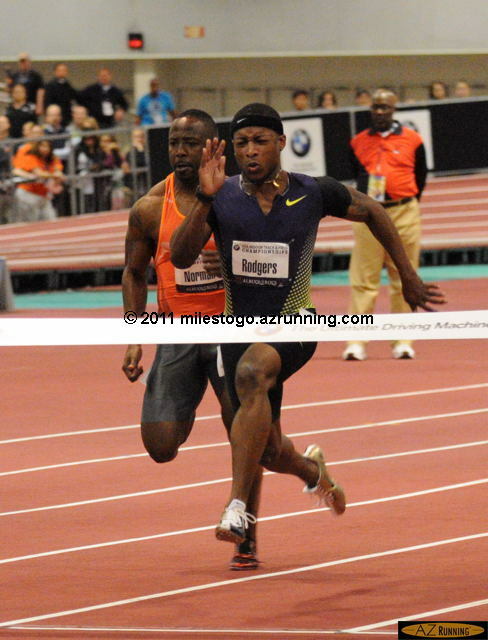 In the last event of the day, Mike Rodgers captured the BMW Men’s 60 meters in a world-leading 6.48 seconds, and the Visa Championship Series title for the best performance of the 2011 indoor season. 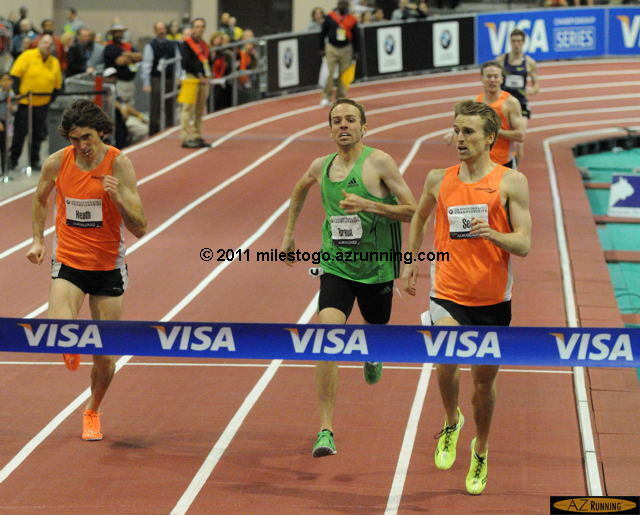 Jeff See won a thrilling Men’s mile, after coming off the final turn in third place behind Aaron Braun and Garrett Heath. This entry was posted on Tuesday, March 1st, 2011 at 11:01 pm	and is filed under Athletics. You can follow any responses to this entry through the RSS 2.0 feed. You can skip to the end and leave a response. Pinging is currently not allowed.